We like to reserve our spot a few days before we set up. 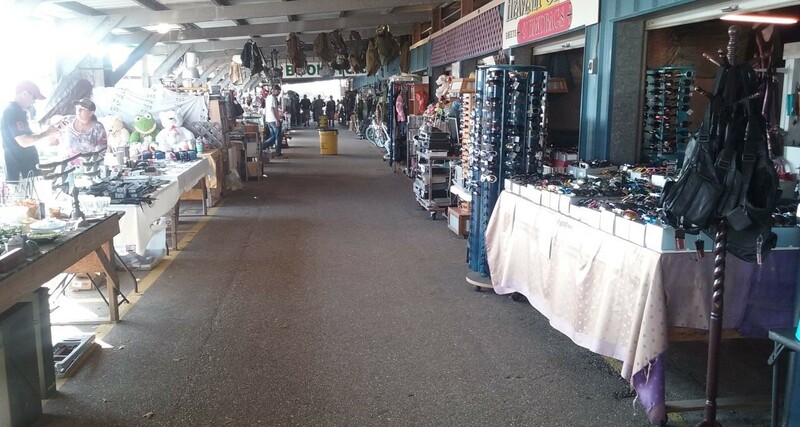 Most Flea Markets are only open on Saturday and on Sunday. Therefore, we like to show up on Friday to pick a spot for that Sunday! 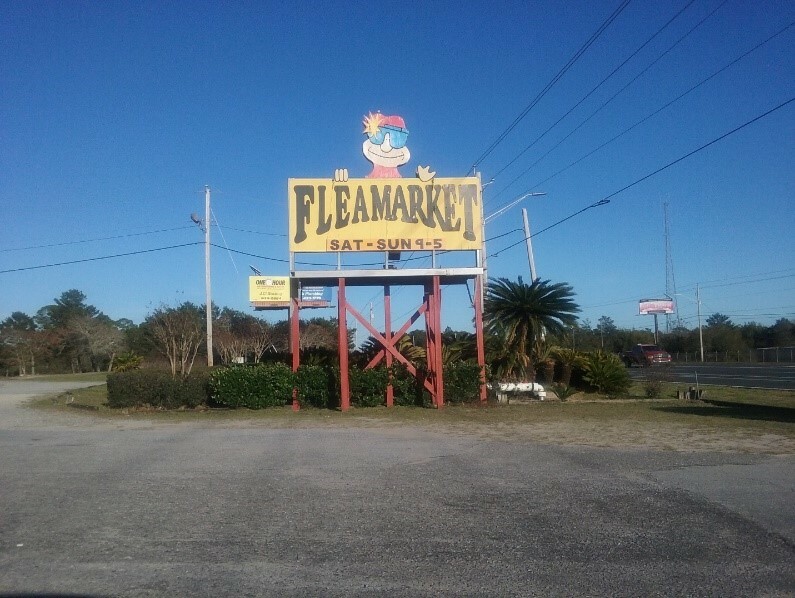 When we showed up here, we learned that this flea market offers a campground. So, we thought we would check it out. Turned out the campground was so small that we about passed it up. While we were checking out two men in an old truck, decided to be the vendor police, I guess as they followed us then even trying to block us in a certain area. The one yelled out the window, “You all need some help!” When we said yeah is there an opening at the campground?” With his southern tone, he makes it quite clear we would have to see the office about that inquiry. 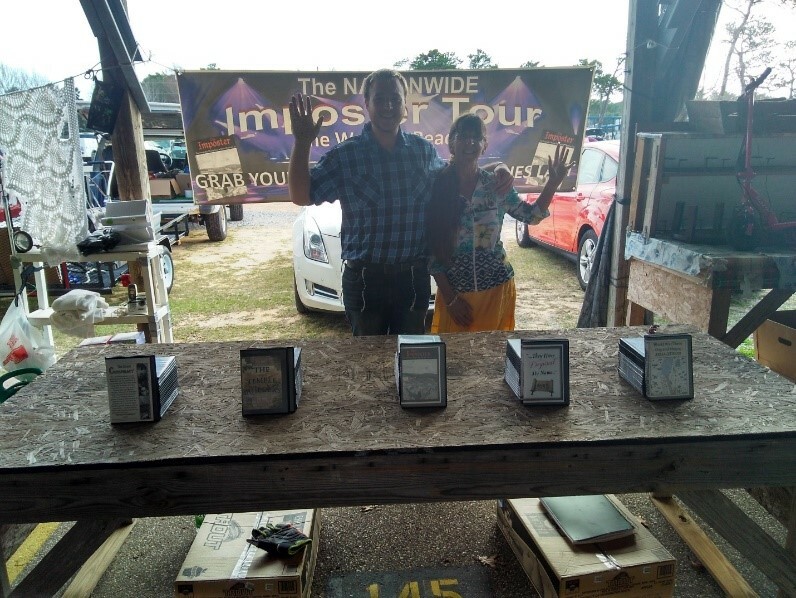 Brother Mike and Sister Linda at our spot! We always enjoy taking a break to stretch our legs. As you can tell from the above picture this smaller flea market had a lot of stuff to look at. We saw some old, new and unique items that people were selling. As you can see both sides of the isles were full of stuff for bargain shoppers to browse through. 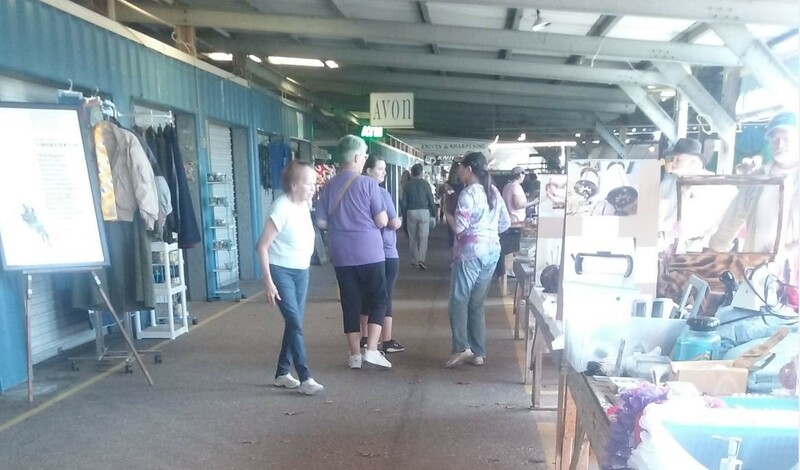 This place looks like it used to be a bunch of storage units with a roof over top the walk way converted to a flea market. Need a hat? This vendor had many to pick from! Lots of people looking for a great bargain. We didn’t go into this shop. However, we stood outside in the walkway and managed to take a few snapshots. 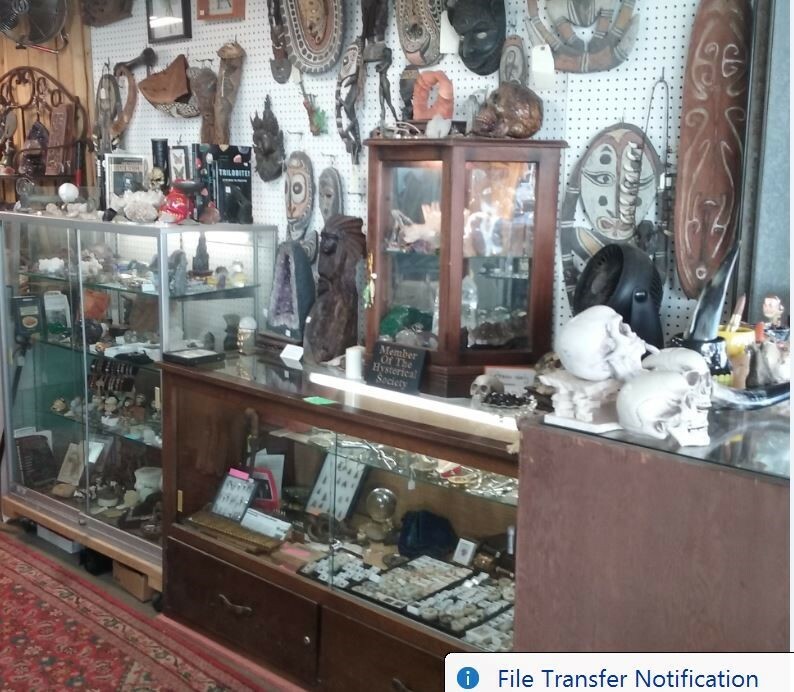 As you can see this place was full of strange things such as skulls and statutes. We personally do not understand why these things are so popular but they are! All kinds of warm shawls for those cool southern nights. Not to mention lots of pants. 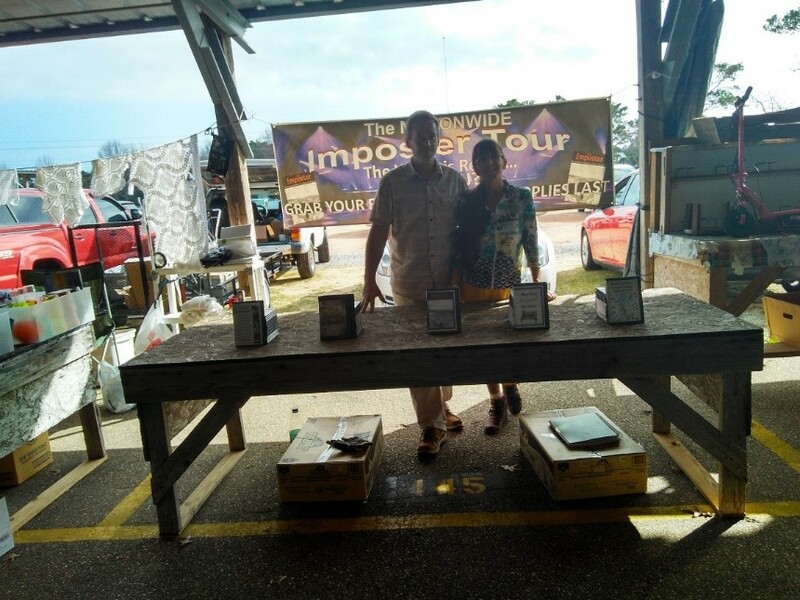 Picture of the full parking lot at the Gold Breeze flea market! Lots of people to share the Besorah with! Our next stop Mobile Alabama! See You all there. This entry was posted in Florida 2017 by FollowersofYah.com. Bookmark the permalink.